So I belong to a great critique group. We meet monthly in-person to critique each other's work. 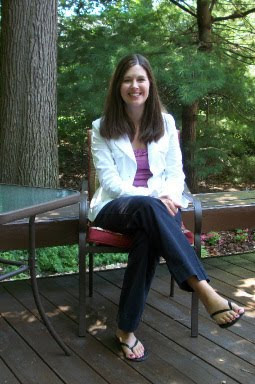 My critique group member, Stefanie, who has written two middle grade novels (and is also in the query trenches), also teaches writing workshops and has had her short stories published in various places, like Chicken Soup For the Soul Books. We all know those books, right? So she's making money on the side while writing her novels. Don't we all wish we could write for a living in one way or another (ignore me right now if this is not true for you)? So here's her advice. Take it away Stefanie! 1. Immediately Put The Reader In The Scene: Start the story with a quote, describe the setting/backdrop, or describe a challenge to be overcome. Write from the first person point of view. 2. Stay Focused: Tell about one heartwarming event or incident, like the Saturday afternoon you spent making cookies with your kids. Don’t tell everything that happened on Saturday or every detail of your children’s lives! 3. Action, Action: Readers like fast-past stories. Don’t meander and tell unimportant details. Your story should be 800-1,000 words max. 4. Include Elements of Good Fiction Writing: Did you include clear story structure, natural-sounding dialogue, descriptive setting, metaphors and similes, musing voice, personification, and a definite theme? 5. Wrap It Up: End by showing positive change, an uplifting message, a lesson learned. The reader should feel good about life! 6. Don’t Hit Send! Re-read your story aloud. Tighten extraneous words. Use spell-check and Stunk and White’s The Elements of Style. Replace weak verbs. Vary sentence structure. Remember E.B. White’s advice: “The best writing is rewriting”. 7. Find A Critique Partner: Ask someone to read your story and ensure it has universal appeal, is emotionally honest, and isn’t overly melodramatic or “gushy”. 8. Still Don’t Submit! Double-check the writer’s guidelines. Does your story theme meet current publication needs? Print out a hard copy of your story for safekeeping. PLEASE HELP ME in WELCOMING STEFANIE and saying THANK YOU! ***You can visit her website to find out what she writes and to read one of her Chicken Soup stories! And also to find out the dates of her next workshops. 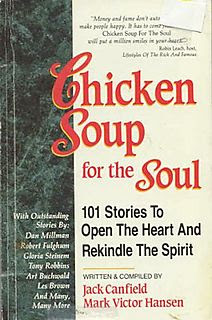 Wonderful advice, I love Chicken Soup for the Soul, I always feel better when I pick up and read a story or two. This is fantastic advice! Thanks for posting this. awesome tips! thanks so much for sharing!! This was awesome!!! Such awesome advice!!! Great advice. I also had a story published in a Chicken Soup book and this is definitely good advice. Couldn't agree more with #6 - don't hit send until after all these steps are meticulously followed. I'd also add a nice little waiting period of anywhere from a few days to a few weeks, depending upon the writer. Welcome and thank you for the wonderful post! WOW! Excellent advice? Can I share this with my students (8th graders) when I teach memoir/personal narrative? I'd love to give them this link.